Can the chief of the newly formed Trinity Mirror National Sales turn the company's fortunes around, Alasdair Reid wonders. Could David Emin actually be a little shy? This seems a downright stupid question given his reputation, carefully cultivated down the years, as one of the media industry's more extrovert and colourful characters. But, actually (and it comes as a genuine surprise when we begin doing our homework for this piece), despite this seemingly larger-than-life status, he has subjected himself to only one press interview in the past decade. He's rather good at fobbing us off. And so it turns out this time around too, as Emin's career enters its third act. 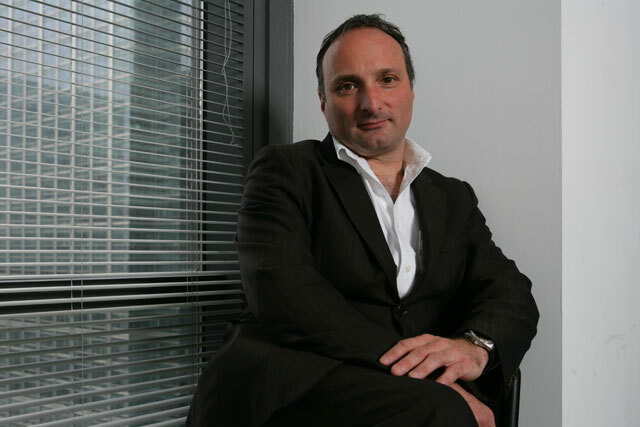 Last week, he was promoted to managing director of a new operating unit, Trinity Mirror National Sales. His responsibilities, which previously covered the national titles, now cover the regionals as well. It's part of a restructure instigated by the new chief executive, Simon Fox, who was appointed in August - and the biggest casualty to date has been Georgina Harvey, the managing director of the regionals, who departed in mid-October. Gary McNish, the boss of the company's Amra regional sales house, will now report to Emin. If the third act of Emin's career is as entertaining as the first two, then it should certainly be worth watching. For instance, it began almost by accident - he was, by all accounts, a bit of a geezer in the 80s (electrical goods, import-export) who took a job at News Group Newspapers as a stopgap and found himself at home with the (as portrayed on Spitting Image) "pigs in pork-pie hats" culture there at the time. Then, having worked his way up, the second act of this tale saw him trading all that in to become a bigger fish (director of advertising) in a smaller pond (Mirror Group Newspapers) in 2006. This change in circumstance required a touch of personal rebranding - and he achieved it rather deftly. The hard-headed negotiator and irrepressible party animal became more of a lovable eccentric, as witnessed by the zany spoor of stories he left across the diary pages of the advertising press in the second half of the decade. His irreverent left-field credentials were enhanced too by the wickedly funny agony-uncle column he wrote for Media Week. It almost goes without saying that he's terribly popular in the industry at large ... so we can't possibly imagine why he's so suspicious of our overtures. "I'm very excited about the new TMNS division. This new ad structure makes such sense and is such an obvious move. This will be a winner for our advertisers and is in line with the Trinity Mirror vision" is all he's prepared to offer us, fired off in an e-mail before he pleads insane pressures of work and dives into another meeting. It's a shame because, as it happens, the group is very much in need of someone prepared to stand up and bang the drum, particularly as Trinity Mirror is now investigating allegations of phone-hacking at the newspaper group. At least the news that it is in talks about buying a stake in a newly created regional newspaper group that will include Northcliffe Media titles has resuscitated its share price, which plummeted last week amid the hacking allegations. These two concerns aside, Trinity Mirror hasn't exactly been punching above its weight in ad revenue terms recently. After all, the publisher lives and dies by the audience numbers it can deliver - and those numbers continue to head in the wrong direction. The group's national Sunday titles were expected to benefit from the closure of News of the World in the summer of 2011 - but even that has proved a false dawn. And so it was hardly a surprise last week to find some sceptics, while welcoming Emin's appointment, wondering whether it would make much impact. For instance, Alan Brydon, the head of investment at MPG Media Contacts, argues that, while Trinity Mirror continues to struggle with big-picture strategic issues, new management structures are neither here nor there. "If you add muddy water to muddy water, you still have muddy water" is the analogy he offers. Dominic Williams, the print director at Aegis Media, is, however, slightly more upbeat. He says: "It's a great appointment. He's one of the best negotiators in the market - and he has a fantastic profile. What sets him apart is that he's very good with clients as well as agencies. And he's a great ambassador for the medium." Can he go all the way to the very top in media management? After all, following his appointment, he's now a member of Trinity Mirror's Publishing Operations Group - effectively a member of supreme high command in the bunker alongside Fox and the chief operating officer, Mark Hollinshead. Could there be a fourth act to Emin's story? It would be interesting. Some say that, though he's clearly not as whimsical as he was even three years ago (when he was still inviting clients to accompany him to music festivals in his orange Volkswagen camper van), his sense of humour is just too offbeat for the stolid types who tend to inhabit the all-important zone where boardroom meets the City. As one source who has observed him at work puts it: "He's charismatic and inspirational to work for, but he's not great at some of the (administrative) process issues ... Every time you step up in seniority, all sorts of scary stuff starts coming your way. He'll experience butterflies in the pit of his stomach more often than he has in the past. I just hope he's ready for that."